Dr Johnson is an experienced physician in the field of sports medicine and shoulder surgery. Currently he serves as the Professor and Chairman of the Department of Orthopedic Surgery at the University of Kentucky. He has served as the Director of Sports Medicine since 1995. He serves as head team orthopedic surgeon to the UK Wildcats as well as a busy clinical practice in treating patients throughout the commonwealth and surrounding states. He has a particular interest in the prevention, treatment of ACL injuries in the athletically active. He was born and raised in Torrance, California: received his BS degree from the UCR-UCLA program in Biomedical Sciences and MD degree at UCLA. He completed his orthopedic residency at the University of Southern California followed by a fellowship in sports medicine and shoulder surgery at the University of Pittsburgh under director Freddie H Fu MD. He was one of four national applicants selected in 1995 by the AOA as a John Fahey North American traveling Fellow. Dr Johnson was selected as one of three young orthopedic surgeons by the American society for sports medicine to travel to Europe in 1997 for an exchange fellowship with similar sports medicine physicians in Europe. He has served on the Board of Directors of the American Academy of orthopedic surgeons, American Orthopedic society for sports medicine, and Southern Orthopedic Association (currently in the presidential line of this organization). Recently selected as SEC Team physician of the year in 2013 by the 14 member institutions. UK Orthopaedic department was recently recognized as top 50th in the US news and world report ranking, first time ever for the university of Kentucky department which has only been a department since 2005. 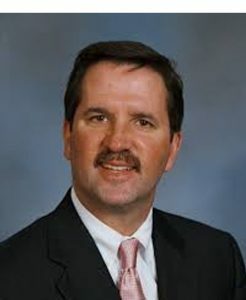 He serves on many national committee appointments including the American Orthopedic Society for Sports Medicine Board of Directors , Southern Orthopedic Association Board of Directors, Arthroscopy Association of North America, and American Orthopaedic Association. He has published over 90 peer reviewed manuscripts as well as over 20 book chapters, and edited a text book entitled “Clinical Sports Medicine”. He has presented at multiple national and international meetings on varied complex topics related to knee and shoulder problems in the athletically active. He is annually selected as one of the “Best Doctors in America” by Castle Connelly as well as “Top Doctors” in America. He resides in Lexington Ky, Thoroughbred race horse capitol of the world and home to the National Champion UK Wildcats with his family, wife Nancy, son Brandon 22 and daughters Kelsey 20 and Lauren 18. His outside interests including all outdoor activities particularly spending time with the family fly fishing, hunting, skiing, and golf.